Iain is a principal and founding partner of Kirkham Capital (founded in January 2009), an investment company. Iain was the head of equities at Rand Merchant Bank from January 2003 until December 2008, and was also a member of RMB’s management board. 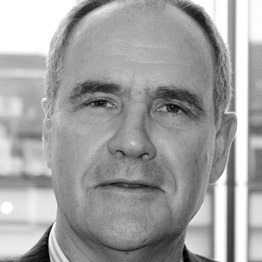 Iain has extensive experience in capital markets and financial services. He was on the advisory board of the Moody Aldrich Harvest Fund, a hedge fund seeding platform and, prior to that, represented RMB as an advisor on proprietary equity and hedge fund investments. He was a founding member and executive director of Thynk Capital, a private equity company that had been involved in numerous joint ventures and investments with RMB Ventures, the private equity arm of RMB. He was previously at Cadiz, a JSE listed financial services company, as an executive director prior to founding Thynk Capital. He spent nine years with the Sechold Group, a JSE listed financial services group that he joined in 1988, and its successors through a series of corporate transactions where Iain was appointed as an executive director and head of the equity derivative and trading business unit. Iain spent 3 years as an institutional salesman at the stockbroking firm of Simpson Mackie, which he joined in 1986. Iain has a bachelor of commerce degree from the University of Natal (Durban).